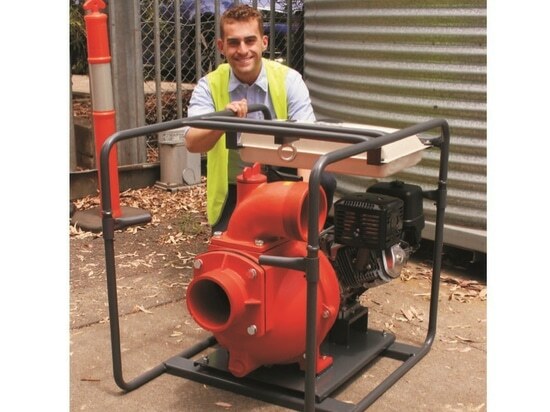 AUSTRALIAN Pump Industries have launched a self-priming pump capable of moving large amounts of water over extended periods. 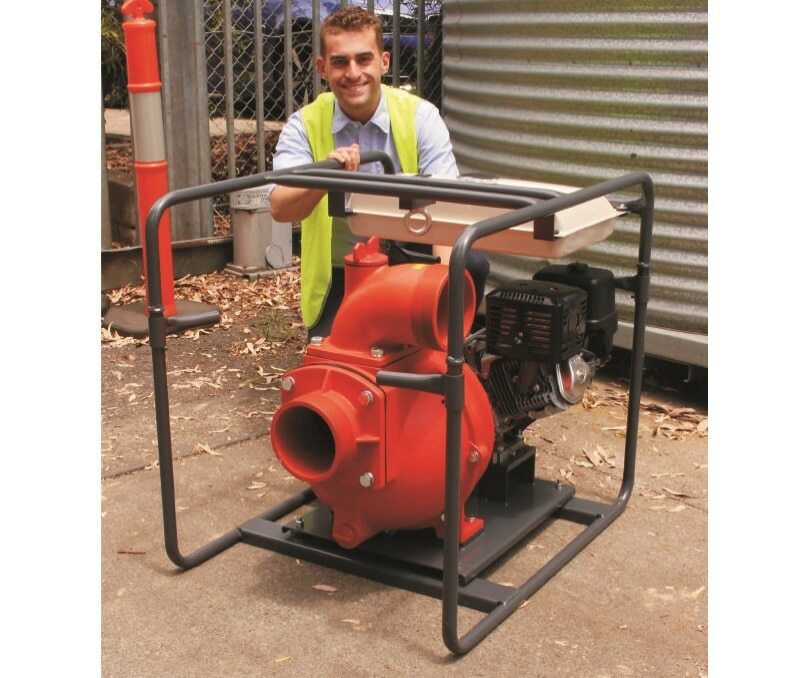 Aussie Pumps, product manager, Brad Farrugia said the 150 millimetre (6 inch) pump was version of the companies Quik Prime model QP602. Targeted at high volume transfer or flood irrigation applications, Mr Farrugia said the pump featured a 16 litre long range fuel tank with a run-time of 5 hours. “Not having to refuel the pump frequently is a time saver for farmers with large volumes of water to transfer,” he said. Mr Farrugia said the QP602 is capable of transferring up to 174,000 litres per hour. “With a maximum vertical discharge of 23 metres, the big 6 inch pump can move water from a lower dam or river to the flood site or storage dam,” he said. “t has the ability to draft water from depths of up to 7.6 metres, making it ideal for pumping from rivers, dams or tanks.